In his first two months as a presidential candidate, Sen. Bernie Sanders (I-Vt.) raised an impressive $15 million, his campaign announced Thursday. Much of that came in small donations from some 250,000 donors. But Sanders himself wasn't eager to discuss his fundraising haul. Speaking at a town hall meeting in Fort Dodge, Iowa, the candidate upbraided the media for focusing on "gossip," not policy. "Will the media allow a serious discussion about the issues? Maybe they will. Maybe they won't. I'm not sure that they will," he told an audience of more than 150 people at Iowa Central Community College Thursday afternoon. "We need a massive jobs program. 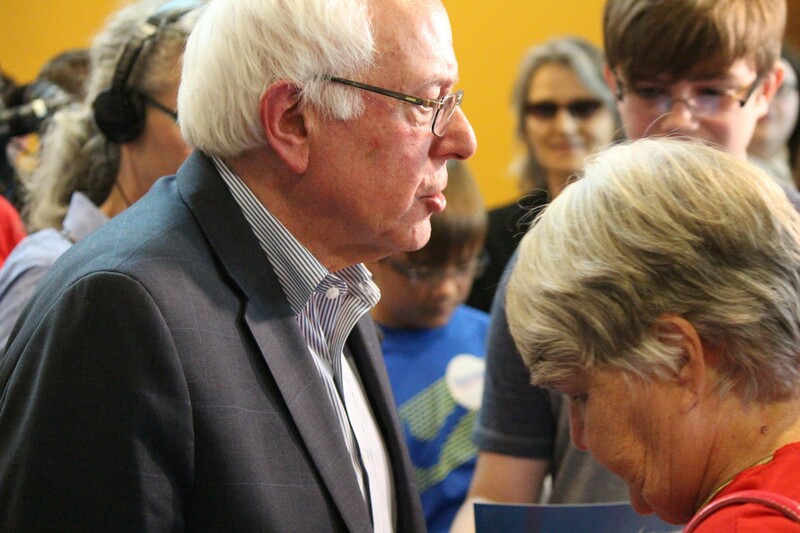 We need to raise the minimum wage," he continued. "Do you think those will be the issues that the media will talk about? Or will they be polls? And we're doing pretty good in the polls. That's good. But that's not the major issue facing America. How much money we raise — we're doing OK in that — but that's not the important issue." 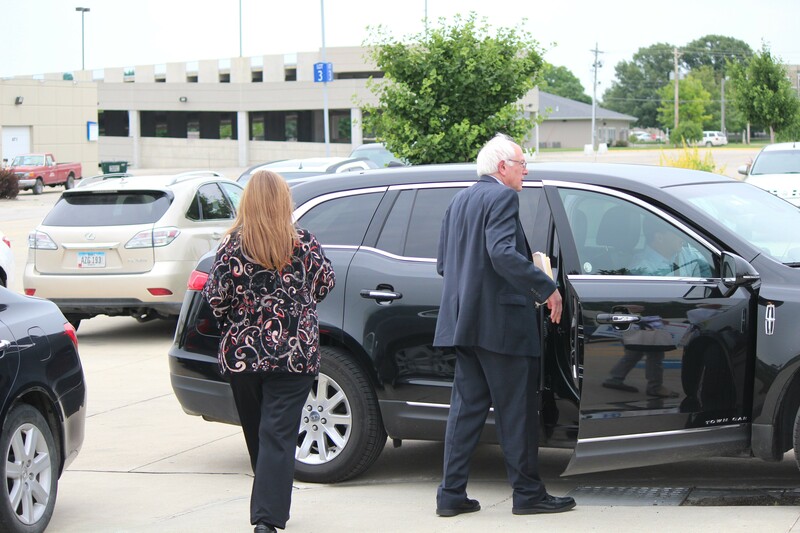 Jane Sanders and Sen. Bernie Sanders walk to their car outside Iowa Central Community College Thursday in Fort Dodge, Iowa. After Sanders addressed a small scrum of reporters outside the college, Seven Days asked him to comment on his fundraising success. The senator ignored the question, staring straight ahead as he walked to a waiting car. Though Sanders raised just a third of what Democratic frontrunner Hillary Clinton collected last quarter, he did so without devoting many resources to fundraising. Unlike Clinton, who reportedly appeared at 58 fundraisers in 18 states over the past three months, Sanders raised most of his money via the internet. According to his campaign, the average size of the 400,000 donations he received amounted to $33.51. That means Sanders' most committed small-time donors should be able to contribute many times more before reaching the federal per-person limit of $2,700. Tad Devine, a senior Sanders adviser, has said the candidate must raise $50 million by next winter's Iowa caucuses to compete.